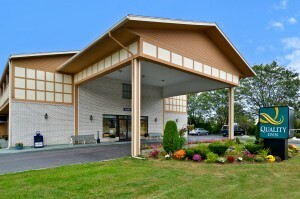 The Quality Inn Burlington is a recently renovated property along the shores of Lake Champlain and only about 10 minutes drive from downtown Burlington, and Burlington International Airport. 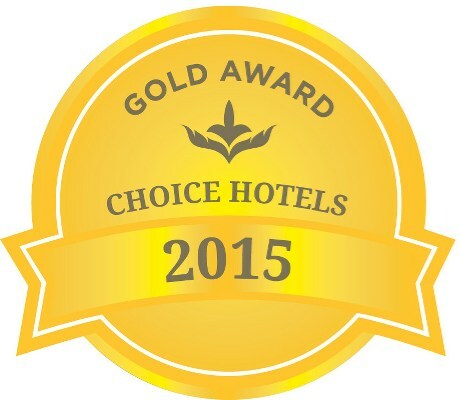 Featuring 73 attractive and comfortable rooms, the property is wonderful for both business and pleasure travelers. All rooms include new HD flat screen TV’s (with 50+ channels), iron & iron board, coffee maker, hairdryer, individual climate control, data ports, complimentary WIFI access, microwave and refrigerator. Many of our rooms feature private balconies, and some with views of Lake Champlain as well. The majority of the rooms are indoor hotel style but the property also boasts one wing of exterior motel style rooms for guests on the go or that prefer direct access during their stay. We serve a full deluxe hot breakfast every morning including eggs, bacon/sausage, bagels/breads, muffins, scones, fresh fruit, juices, oatmeal, cereals, pancakes and a waffle maker! There is always fresh coffee, tea, and hot chocolate available in our lobby, which is open and staffed 24 hours a day for guest convenience. On site we feature an Olympic-sized indoor heated pool, with sun deck, hot tub, full sized fitness center and cedar sauna. We have guest laundry on site as well as free parking for your car, bus , truck or trailer. Our property is pet friendly charging $20/per pet, per night fee in selected rooms. 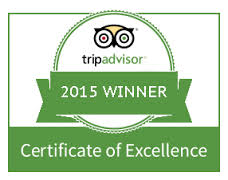 89 Taxi.com phone# 802-383-8294 is the recommended transportation provider of the Quality Inn Shelburne. Call for service within Burlington/Chittenden County or to anywhere in New England INCLUDING Montreal, Canada! 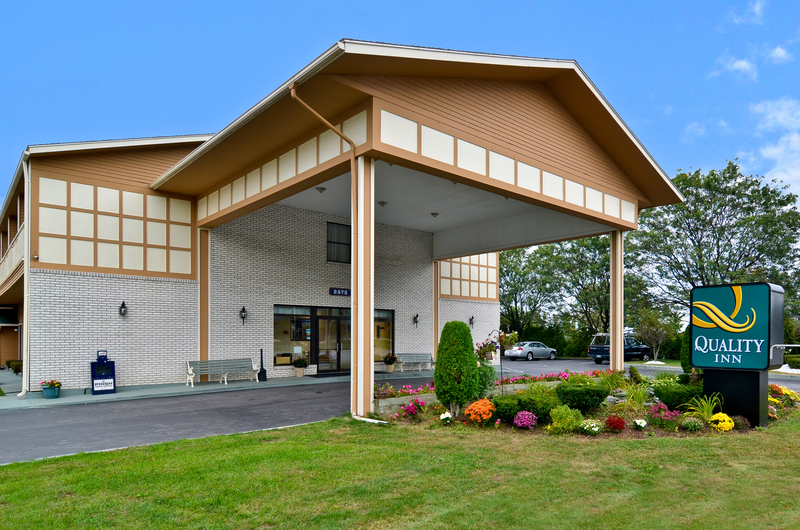 Transportation from Burlington International Airport to Quality Inn Shelburne is complimentary for paying guests. Looking for something to do while you are in town? The Quality Inn is surrounded by entertainment! You will find lake cruises / ferries, several museums, farms, music venues, restaurants, and shopping venues within 10 minutes. Your recreation choices are endless with parks, beaches, and other recreation options. The area also has several colleges, universities and many ski and snowboard facilities only about 30 miles away. We also support local businesses IBM, Green Mountain Coffee Roasters, Ben & Jerry’s, Chittenden Bank, GE Electric, and BF Goodrich, along with local government and law enforcement. SEE OUR AREA INFO PAGE FOR MORE INFORMATION AND LINKS! Click here to check the weather for your stay! 10% discount offered to people visiting local area Colleges, Universities and Fletcher Allen Hospital. Special Discounted Group Rates for Teams! Special government, corporate, and group rates offered as well as Park, Sleep Fly packages and shuttle service. Please contact the hotel directly for details. Join our Choice Privileges Rewards program (good at all participating Choice Hotels) and start earning points towards a complimentary stay. You can sign up at the front desk, online, or over the phone at any time! Check us out on facebook, twitter, LinkedIn, and Pinterest for special offers, upcoming events and other Vermont news and photos! See you soon!